Calera, Alabama - When people welcome a companion animal into their lives, they usually have so much compassion and affection in their heart, that they want to share it with another being. They will go to the shelter and pick out a pup or kitty to pour all of that love into. Alternatively, there are some people out there who treat animals as a way to release their aggression, and sadly, homeless animals with no guardian to protect them, tend to be the target of this anger. We’ve heard stories where stray animals are abused by people living in the area who are simply annoyed by their presence. We’ve heard of stray animals getting run over by cars and no one bothering to stop and see if they’re okay. And, sadly, we’ve seen dogs get picked up off the street and turn into bait or aggressive opponents for dogfighting circles. 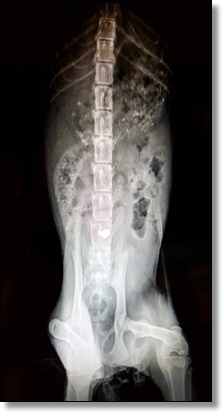 Just recently, the residents of a mobile home park in Calera, found a cat who had been shot in the back and was dragging herself through the park. At the time they found her, the bullet was still lodged in her spine. The fact that this little kitty was pulling herself around the park, likely looking for food or help, shows that this cat had a clear will to live. 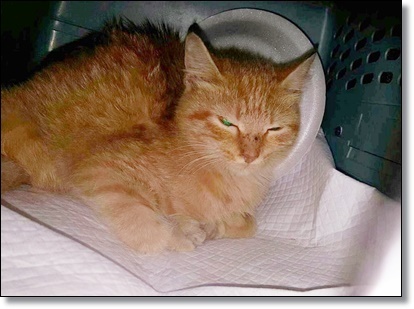 The folks who found her immediately called The Purrfect Love Cat Rescue. The kitten, now named Jackie, seems to be permanently paralyzed and the employees at the center are skeptical as to whether she will ever be able to walk, control her bowels, or her bladder. 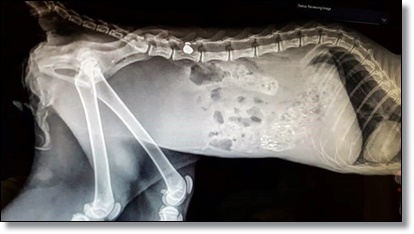 According to the veterinarian on board, it appeared someone put the gun up against her back, then fired, almost certainly intentionally. Why anyone would harm such a precious creature is beyond us. This kitty’s only crime was existing in the same space as a cruel human. 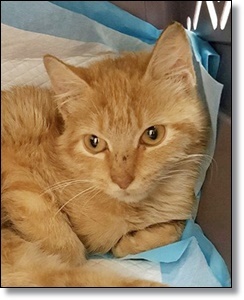 Sadly, Jackie is too weak to undergo any surgery, so all that’s left to do is hope that this sweet kitten can somehow pull through the ordeal. Despite the fact that Jackie cannot undergo surgery, the rescue center employees are determined to do all they can for her and hopefully find the horrible individual who did this to her. They have set up a Facebook page and hope to get donations for what will likely be a very costly recovery program for Jackie. If you’re touched by this story and would like to donate to the cause, click HERE.